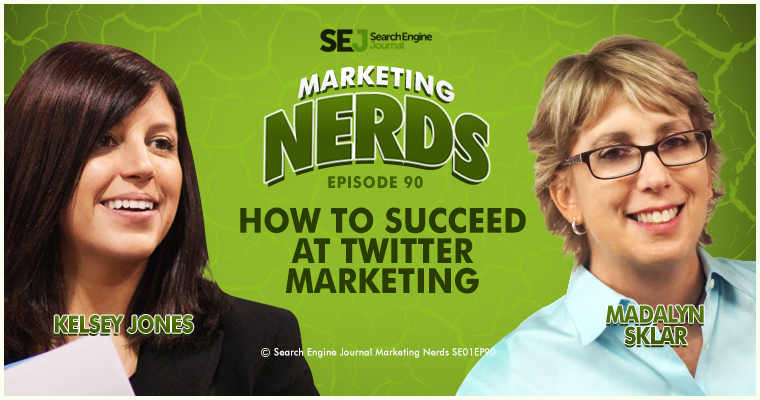 In this episode of Marketing Nerds, SEJ Executive Editor, Kelsey Jones, sits down with Twitter Marketing Strategist Madalyn Sklar. They talked about how to grow your Twitter followers and thought leadership, as well as tips for better engagement, images, and community building. 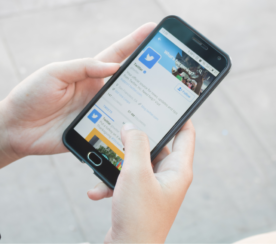 Madalyn also outlines the benefits of Twitter over other platforms for brands and individuals and how its chronological post order can be used to your benefit. So many people like to focus on all social media or maybe Facebook or LinkedIn or some of the other ones. You don’t hear about people specializing in Twitter. The reason why I chose to, is about three or four years ago, I was asking people, “What is your favorite social network?” Nobody said Twitter; I was so surprised. Twitter has always been my favorite and when I would dig further and say okay, why is Twitter not at least one of your top, and they would say “I don’t understand, I don’t get, it’s not fun for me, I can’t find people there.” This whole laundry list of things and I thought maybe they are not just using it right, maybe if they saw what I saw they would love it. I got on this mission, and that’s when I started the #TwitterSmarter (Twitter chat and hashtag) and I just got on this mission to start teaching people how to really use and market themselves on Twitter and so that was the start of it. The benefit of Twitter over the other platforms is, well let’s say you want to connect with a thought leader or maybe a VP at some big company that you want to get connected with and maybe try to get a job at, if you go to their Facebook you are not going to be able to open that door, it’s just not going to work. We look at Facebook being more for our friends and family, unless somebody is really using it for business on their personal profile, I just find it’s harder to connect with people there. And then you look at Instagram and LinkedIn, and those are great platforms too, but it’s not as easy to get to the other side of that doorway, whereas with Twitter if some people is actively using it, it’s so easy to connect with them. I talk to so many CEOs and thought leaders and people of major influence. Here is an example for my Twitter Smarter podcast: The whole premise of that is to get top social media experts to share their top Twitter tips. It’s a very short platform podcast, and it started with a tweet. Had I gone over to their Facebook or their Instagram or LinkedIn, I would most likely not get a response. With Facebook, a lot of people are frustrated with the fact that we don’t get the engagement we used to, we spend all this time building our platform there and there is nobody listening unless we buy ads. I think that is another reason why a lot of the thought leaders and people of influence are utilizing Twitter more than ever is because they know when they tweet people are listening, and that’s important. Should You be Worried About Twitter’s “While You Were Away” Feature? Not really. They did this thing called “While You were Away” and people didn’t really realize that it was there. I think it was like a test before the big announcement of the algorithm timeline because everybody was going to this algorithm timeline and people are so up in arms about it and they are like no, no, no. When they made the announcement about the algorithm change this year, well everybody got really upset over it. What was really interesting is that a very, very small percent … I think it was like 5% opted out. So it shows you that people are very quick to judge and get vocal about it, but people weren’t that upset. They were using it and were happy with it. I think they saw the “While You were Away” feature in action and thought “Wow! This isn’t bad.” All you had to do is just scroll or refresh and you are right back to the chronological timeline. There is something new they just added, so when you are on your phone and you are looking at home, there is a new little button at the top left and it’s just an icon of a person with a plus sign—a new feature to finding friends. What they are doing is using an algorithm to look at who are the friends you have, who are they following, who are the people in your area that the algorithm thinks you should follow, what’s popular near you right now. I like it and I think this is a great way to go connect with more people when you are on your phone on the home screen. Number one, you have to know your audience. 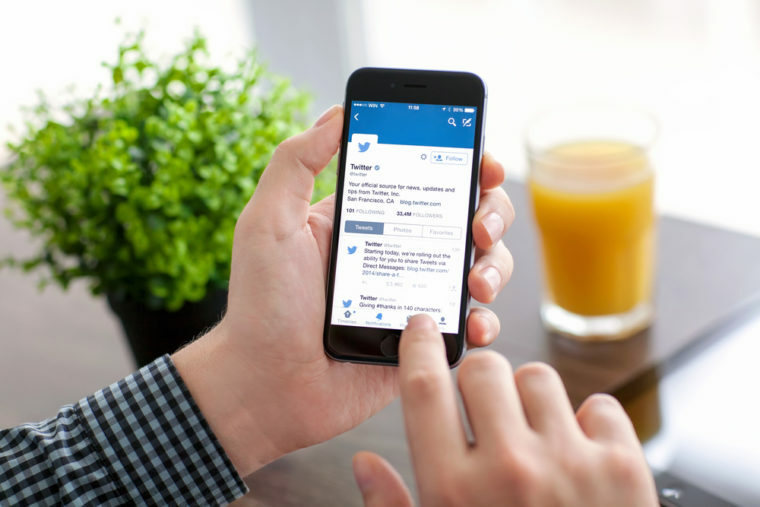 Who is paying attention to you on Twitter or who is it that you want to be your audience? 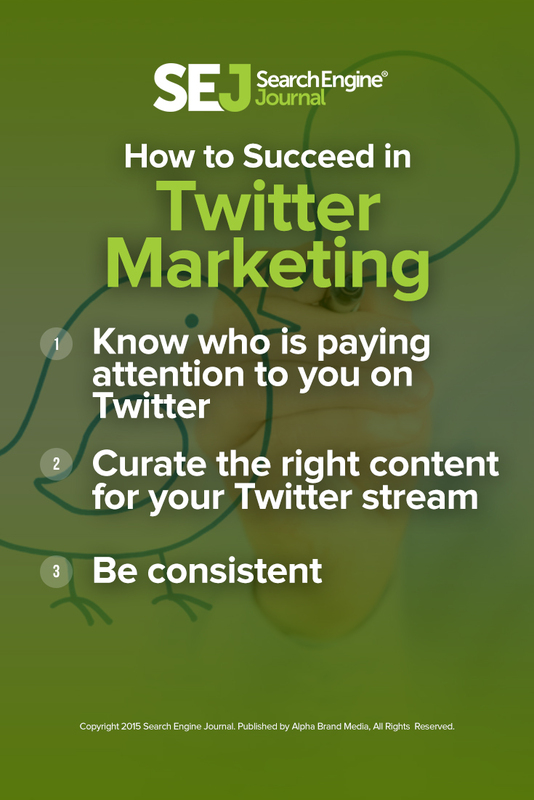 Knowing that will help you curate the right content to be putting on your Twitter stream. If you put really good content out people take notice. That’s a great way to brand yourself as a thought leader. Many people say well “I don’t know how to get attention, I post and nobody is listening.” You got to look at what is it that you are posting? The key factor here is being consistent. What I discovered many many years ago in the early days of Twitter is that, if I posted consistently, I got great results. It’s important to know who that audience is, what the right content is and then putting out really good content every day that attracts people to you. I signed up for DrumUp’s service. So every day I get an email and it shows me great article and information about Twitter because that’s how I have it set up with the keywords. It’s all about curating good content. That’s what we’re trying to do on Twitter. As a marketer, you want to be a great content curator so you’ve got to get your information from different sources. If you’re a blogger, you probably have great articles to put out every day but not everybody blogs every day. So the next best thing is to go find other people’s content. Not enough people are doing it and it’s one of the things I talk about a lot. People will have a conversation. People will talk about other people and it just takes a moment to just go look them up real quick, get their Twitter handle and put it in there because they’ll get the notification. They may not jump into the live conversation but they’ll know that you mentioned them and that is so incredibly important. 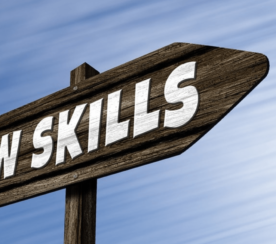 It’s a great way to get on the radar with thought leaders and with people of influence, to see that you’re talking about them and they’re going to go learn more about you. They’re going to look at your bio and see who you are and that is one of the best ways to connect with people. When I am uncovering great content that I want to share on my Twitter profile, I try to take extra time to go look up the author. Sometimes it’s not easy, like you’ll look at an article and it’ll say by so and so and it may not have their Twitter handle right there. Sometimes you have to just copy and paste their name, go into Twitter, look them up. If they have an unusual name like Madalyn Sklar makes it really easy to find them. If they don’t, I’ve noticed that if people are smart they are branding their profile image and you’ll see the little profile picture on the article and you’ll see the profile picture on Twitter and that’s super smart. For those who are using different pictures though out, don’t do that. Have one really great profile picture, use it everywhere because little things like that will make a huge difference. This is big news. Twitter has not confirmed it yet but it sounds like this is going to happen in the next few weeks. Right now, people are Tweeting and they’re trying to put an image in. But sometimes we can’t because we run out of character space. It’s incredibly frustrating. You run into that situation, and it’s like what do I do? Do I shorten this or do I go without the photo? Visualization is so important in social media. 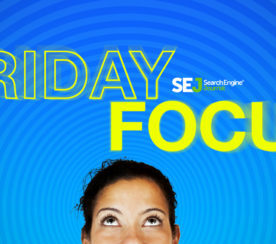 There are studies that show such a big percent increase in engagement just by having a photo. I think this is going to be great news for all marketers across the board because now you won’t have that restriction. Same thing with the links. I think this is a big win for marketers. I noticed a lot of people tell me they don’t realize it’s there. When you’re on a browser and you’re in the pull-down menu, you will see analytics there. It used to be buried in the Twitter ads platform and it’s not anymore. You can click on analytics and it will show your best tweet with media. For instance, I was on #HootChat last week, which is Hootsuite’s Twitter chat, and it was so funny. I just happened to look over on my phone and saw that my Twitter Smarter chat was still trending even though it had ended an hour prior. Hoot Chat had started trending. It showed us next to each other. I did a quick screenshot of this on my phone. I went into a tool I like called Sketch where I can do the quick arrow and a little bit of text. I put “match made in heaven” and HootSuite re-tweeted this. It’s showing me this is my top media tweet for the month with 35,000 impressions. It only took about a minute because I’m fast but I’m glad I did this because this turned out to be something that got a lot of attention. It was a plus. Images are important. One of my favorite things are Twitter chats because with Twitter chats you’re connecting with like-minded people and it’s revolving around topics that are important to you. Just by getting on and engaging, you will connect with so many new people and that leads to other things. Sometimes you’ll get on a chat and you meet new people and you’ll notice an hour after the chat’s over, you’re still tweeting with them. Just get on Twitter and listen. People just get on there and just push out their stuff and wonder why nobody follows and why nobody is listening. You can’t just go out there and push, you’ve got to listen and connect with people.